Featuring a head turning red plaid, this fashion blazer has the style to really get noticed. 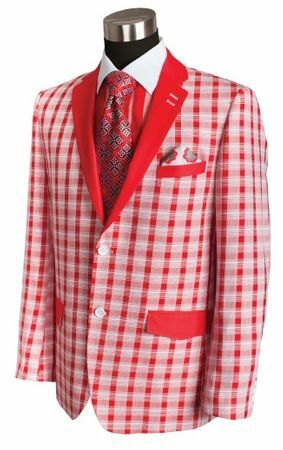 Featuring a regular fit and double side vents, this red plaid blazer is all about style. Made of poly blend fabric. Final Sale item.